Online casinos offer you to play for free or for real money. If you choose to pay, you always need to register. Free practice mode, in contrast, usually doesn’t require signing up with casino. Make sure you register at legitimate and honest online casinos. That’s the first thing you should consider when you think about playing casino games. This article will discuss the question of how to register at online casino. Signing up is a simple process which doesn’t usually take more than several minutes. All online casinos have basically similar registration form. You’ll be asked to provide some personal information, address, e-mail, create username and password. Many online casinos require new players to verify their phone numbers and e-mails after registration form is filled in. Usually that’s enough to start playing for real money. You would be able to deposit money, collect bonuses if available and place bets. But you should never try to cheat casino and provide wrong information, because at some point casino will ask for some proof. Generally, verification is asked before players can withdraw their winnings. And if it turns out that player cheated, his or her casino account would be blocked and money withdrawal would be declined. 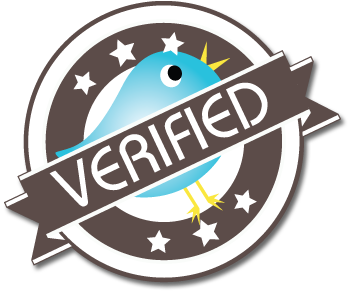 Besides knowing how to register at online casino, you should be aware of verification process. To verify account, online casinos ask players to provide copy of their ID documents. It can be a copy of passport or usually any other document with photo, name and date of birth. Driver license would be good too. Providing a copy of your ID document is easy. You’ll just need to scan your document or photograph it and send to a specified e-mail or upload it to casino website. Online casinos don’t want to see serial number of your passport or any other document. So, you can hide this area if you aren’t comfortable showing it. But first contact customer support to make sure it’s allowed. Some casinos might want players to verify their address as well. In this case a copy of utility bill would be enough to prove that your current address is correct. Account verification is a necessary step in making sure players are who they say they are. If you have no bad intentions and just want to play fairly and legally, you should be fine with verifying your account. Thousands of existing online casino players have already done that. Just always remember to choose carefully who you trust.